Jane of All Trades. Master of None. I'm an aspiring Game Developer and Freelance Artist. Marimo and I founded an indie studio named Visustella. Do you want more RPG Maker-related resources or general gamedev help? 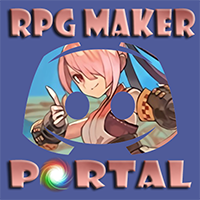 Visit us in RPG Maker Portal! Visustella: Project Outbreak is a series of resource packs focused primarily on creating a survival horror game. Division Heaven: Episode 5 Series. A group of heroes fails on their mission.